The brush strokes and the music plays, the audience wonder what's happening and within the blink of an eye, he completes the most beautiful art filled with colours. That's Vilas Nayak! 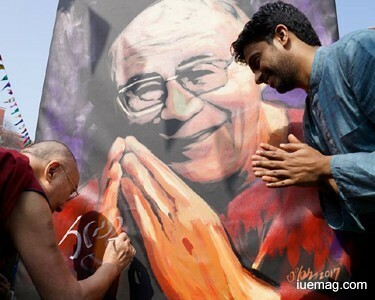 Growing up in a small village, with no exposure, to becoming the quickest speed painter of Asia, being the reason to arouse the passion of art in many youngsters, is the story this man has created for himself. There is more to his story! Read on. Driving on the path less travelled, with no directions, he has created his own route to his destination and has emerged as an inspiration to many who wish to follow their passion but are unable to, due to unavailability of some kind of resources. 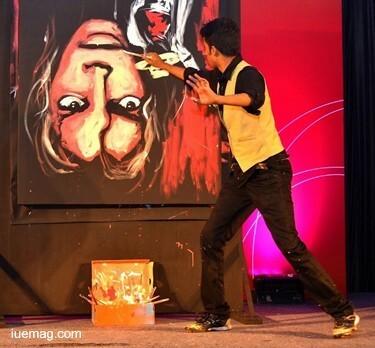 Meet Vilas Nayak, Asia’s fastest speed painter, who has performed more than 500 shows in 23+ countries, astonishing every single soul that has witnessed his performance, casting unlimited inspiration with his passion towards art. What’s more inspiring about his journey is the fact that, not having a professional teacher to guide, never stopped Vilas from doing what he truly wanted to. A lot of us today have resources like YouTube and various other websites where we can learn from, but this was not the case with Vilas who grew up in the small town of Ujire, Dakshina Kannada district, India. “I never got the opportunity to use resources like YouTube, to learn the art of speed painting, until I began to work in Bangalore after my post-graduation; we never even had a television at home for that matter. But I was never afraid to learn it all by myself and do it in my own ways all the years till then. I had already participated at various National Level Competitions by then. I don’t see any reason why someone shouldn’t do what he/she wants to, just because he/she doesn’t have someone to teach” are his words of wisdom. At the same time, alongside his passion, he never gave up on his education. While a lot of us and our parents complain about not being able to pursue education well, if involved in any other activities, his journey of education is as well a lesson for all students. Vilas, who secured 7th rank in Mangalore University for his Bachelor Degree, and a 2nd rank in Mysore University for his Post Graduation, mentions art was in fact a booster to study better. Besides, Vilas was also a part of a regional reality show. Although he was not able to move to the further rounds, his practices never stopped, leading him to pass through, till the finale round of the Nation-wide show, India’s Got Talent. All his years of hard work paid off when Vilas was recognized for his talent in the contest. “I was a part of India’s Got Talent, after a year’s continuous practice. It was hard to juggle between work and my passion. A lot of sacrifices were involved. Of course, there was a lot of money spent on canvas boards and paints. It was all worth it when I was invited to perform at many places even after the reality show. I was invited to participate at the Asia’s Got Talent show and then on, a lot of invitations from Malaysia, Singapore, Russia and many other places began my journey of travelling to perform” is his breakthrough moment. This certainly illustrates that it doesn’t really require one to win the show to get people to recognize your talent. Although he couldn't win these shows, he got what the winners of the shows may or may not have. Vilas finally decided to quit his job and take up speed painting as his full-time profession, as he began to get more invitations to perform. With recognition comes responsibility, and the responsibilities need to be fulfilled with much more efforts. “There were lot of challenges. Firstly, one of the biggest challenges or I would say, the most important quality to become a speed painter is, you cannot make mistakes and you don’t have a choice to erase what you’ve done. It’s hard to recognize if something goes wrong because I will be too close to the canvas and need to step back to check, but that takes additional time. It's a risk that I take every time I perform because I’m on a stage and there are people seeing me. There is no way I can make a mistake. 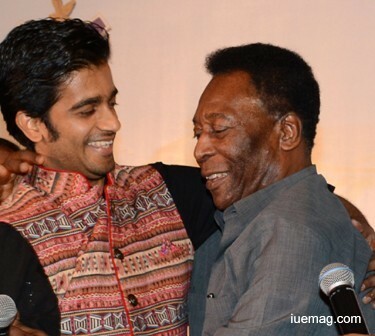 Having performed and received appreciation from celebrities from around the world including Football legend Pele, Tim Duncan, PM of India Narendra Modi, Honorable President of India Sri Pranab Mukherjee, Dr APJ Abdul Kalam, Shah Rukh Khan, Sachin Tendulkar, S P Balasubramanyam and many others, Vilas continues to inspire us all with his gentle innocence and down to earth attitude. 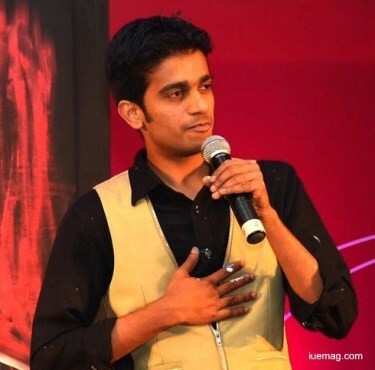 He believes in spreading the message of ‘art for all’ by performing at various underprivileged parts of the society and positive messages through his videos (Check out here); Vilas has also raised funds through his performances to contribute to various social causes. 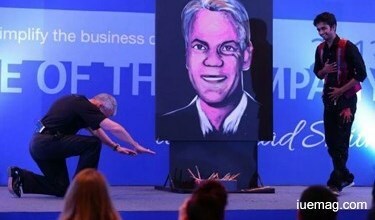 A 14 years of journey, from taking more than 15 minutes to be able to paint a portrait in as least as 2.3 minutes is certainly a journey that inspires us all. From a small town unknown to many, to becoming the reason to make its people proud, is a journey we all need to learn from. With no professional teachers and still becoming one of the world’s best speed painters, is a journey that proves nothing is impossible. Vilas dreams to take his art to every country possible, for he believes “art has no language barriers.” We wish Vilas Nayak the very best for his upcoming projects and his journey, which shall continue to inspire many more youngsters to believe in themselves and in their passion. Add your wishes & words in comments to reach him.